Get more information about Boardmasters 2019 including festival tickets, news, reviews and lineups. 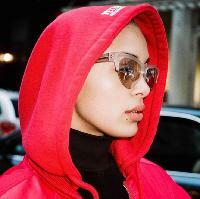 Jorja Smith is an 19-year-old newcomer from Walsall, UK. Smith impressed many and earned attention with her hip-hop and R&B-inspired debut single "Blue Lights" and has taken the rest of the year to deliver songs that fuse soul, blues, and even classical. She spent much of 2016 getting people very excited about her effortless, informed, and deeply soulful pop with a trio of eclectic singles. Her first EP Project 11 arrives so perfectly formed it almost feels like showing off. Many songs mark Smith out as her hero Amy Winehouse’s truest successor. Do you promote/manage Jorja Smith? Login to our free Promotion Centre to update these details.